Hotspot Shield has been around since 2005. For over a decade it’s been praised for incredibly fast speeds and a clean interface. 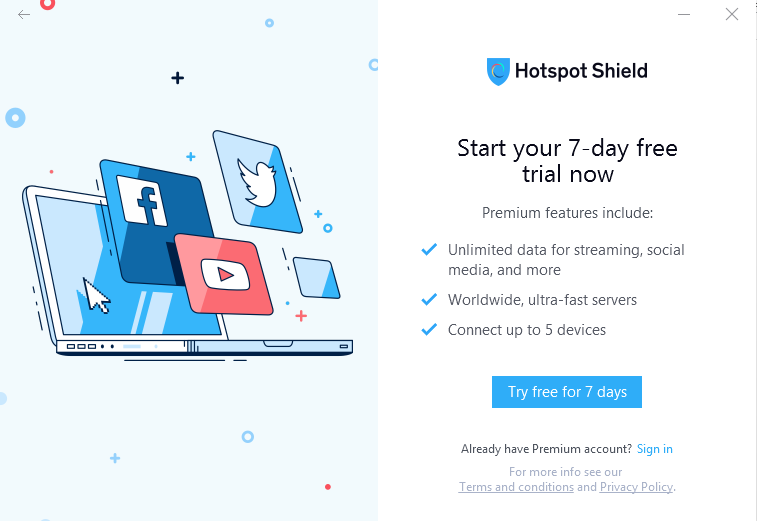 To boot, Hotspot Shield lets users use their service for free for 7 days. Or, they can upgrade to the Hotspot Shield Elite. But is all of this true? Is the aforementioned what’s attracted a whopping 650 million users? Hotspot Shield VPN was made for people who love Netflix. You’re able to stream Netflix on all available servers. But then there’s more. The VPN also gives you access to other streaming services like Amazon, Hulu, YouTube, CNN, Vimeo, BBC, and HBO. Accessing geo-blocked content by bypassing restrictions is undoubtedly one of Hotspot Shield VPN’s specialties. If you’re looking for a VPN to use for torrents then we have great news! Hotspot Shield VPN has no restrictions when it comes to torrenting. You’re even able to download across all of their servers, on any platform the VPN is available for. Luckily, there is a refund policy if you change your mind. Hotspot VPN offers a 45-day money-back guarantee. Most VPN providers offer a 7 or 30-day money back guarantee, so it’s a little odd to see the number “45” here. The return policy varies from device to device – for instance, iTunes and Microsoft customers will have to go through the payment processors directly. 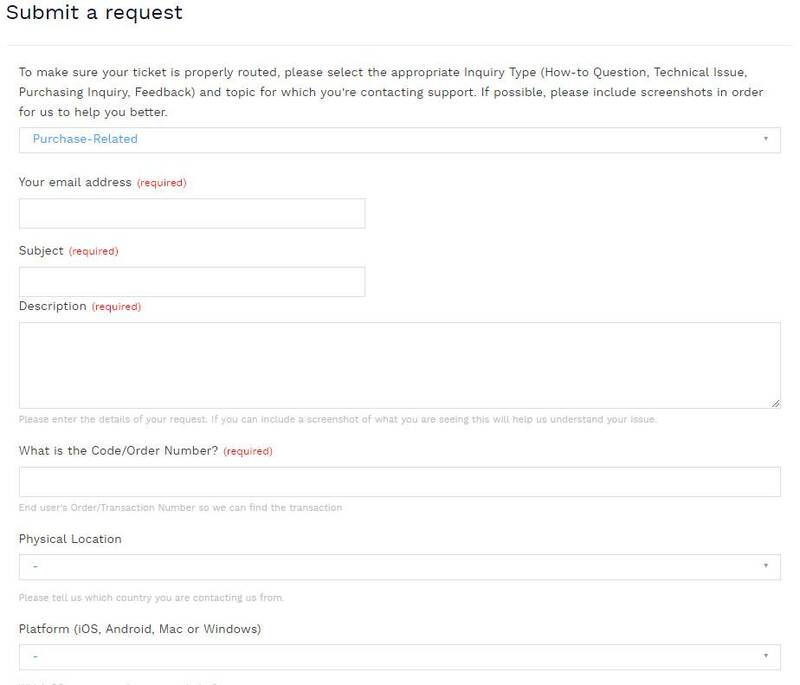 For all other customers, they can simply submit a ticket with the purchase information. Don’t lose your receipt and make sure you read through all their articles. The return policy is a little tricky with this one. Don’t worry if you have many different devices that you want to be protected. Hotspot Shield VPN is compatible with iOS, Windows OS, MacOS, Android, and even routers. Downloading is pretty easy too. Since the VPN is available on the App Store, Google Play, and Microsoft store. It’s quite a lot of information to include for a support ticket. Hotspot Shield VPN also features a knowledge base on their website. Head there to find an answer for your inquiry if you don’t want to jump to talking with support. Getting Started: allows you to pick which OS your device is running on. And offers solutions to questions tailored to the OS you chose. 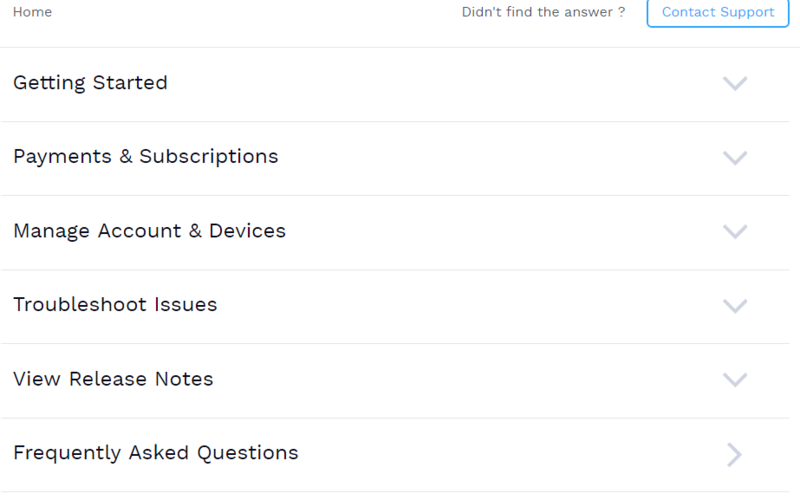 Payments and Subscription: answers questions like “how to get a refund, “how to manage your subscription,” “how to activate subscription,” and errors you’re receiving with your subscription. Manage Account Devices: teaches you how to edit your account, such as changing your password, updating account information, and adding or removing devices from your account. Troubleshoot Issues: for troubleshooting your connection, with inquiries regarding installation and internet speed. View release Notes: this is where you can see notes on the updates they’ve done on the software. Frequently Asked Questions: the FAQs helpfully answers questions like “how to stream,” “how to sign up,” “how to activate your account,” and a whole lot more! The Hotspot Shield VPN knowledge base page is definitely full of knowledge! 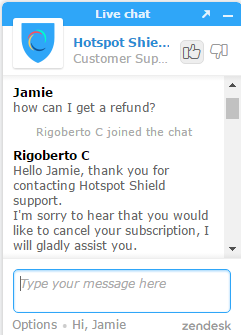 Hotspot Shield offers both live chat support and a ticket system. Their customer support team responds pretty fast too! To connect to their chat support you’ll have to enter your name and email address. And type in your concern, of course. A representative will connect with you shortly to assist with your concern. We found the support team to be very helpful. When your chat is over they’ll send you a transcript of the conversation to your email address. This is a great feature. If you have any other questions you can simply reply to the emailed transcript. They also let you attach files to further explain your inquiry. 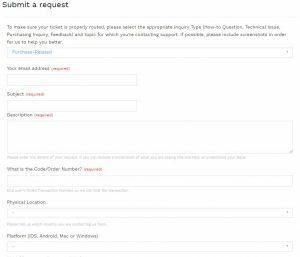 The ticket system will ask for your name, email address, subject of your concern, description, physical location, and platform you’re using. On top of the strong encryption, and their own protocol, Hotspot Shield also features a kill switch. As it should. A kill switch is honestly one of the most important features a VPN should have. Afterall a worthy VPN must be able to ensure your safety if your connection to the server drops. Hotspot Shield boasts over 2,000 servers to connect to. But they’re only spread between 25 different countries. Those countries are scattered across the continents, making it easy enough to access geo-blocked content. 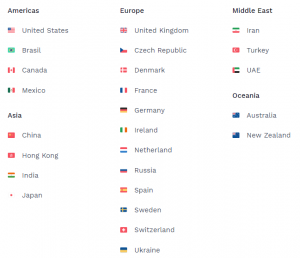 But with over 2,000 available servers we thought Hotspot Shield VPN would be flying more flags than just 25. When it comes to speed Hotspot Shield VPN won’t exactly wow you. But it’s not the worst either. Some reviewers have even presented data that the VPN’s speeds were faster than their own connection. They might want to call their ISP. We found our speeds to be consistently around 35% slower, with ping increase of 20-30 ms in the US. Hotspot Shield VPN lets you try their service for free for seven days. If at the end of the trial you decide the VPN is right for you all you have to do is upgrade your plan. The month-to-month subscription will cost $12.99, which makes it safe to say that this VPN is pretty pricey. But, of course, if you choose a plan that’s not paid month-to-month it becomes cheaper. As usual, the longer the plan the less you’re paying per month. Signing up for six months will cost $8.99 per month—$53.94 on checkout. Their most recommended plan is annual, which comes out to $5.99 per month, for a total of $71.88 annually. Then there’s the extra long-term plan. It’s as low as $3.49 per month but you have sign-up for three years. That adds up to $125.64 upon checkout. The regular monthly payment is €15.99, or around $18.60 per month. That’s a 43% increase from the original $12.99 price! Six months will cost you €10.99 per month—€65.94 upon checkout, or around $75 when converted to USD. Again, an increase of 38% from the USD prices. The annual plan isn’t any different. It comes out to €6.99 per month, for a total of €83.88 annually (or a 32% increase from USD). The three-year plan? €143.64 in total, or $163.07. Nearly 30% increase from the USD prices. So what’s up with this pricing model? We’ve seen some VPN services simply replace the dollar sign with the euro sign, but increasing the prices on top? That’s just weird business practice. Weird pricing model aside, three years is a fairly long commitment to a VPN. There are reasons to believe that your money is well-spent, though. Keep reading on and read about the business itself below. Be sure you’re committed to Hotspot Shield VPN before choosing the three-year plan! Hotspot Shield accepts payment in the form of credit cards, PayPal, or money transfers such as Webmoney, Giropay, iDeal, and others. For anonymous payments, it seems that Hotspot Shield has chosen more stable ways of paying other than cryptocurrencies. They accept gift cards from major companies. 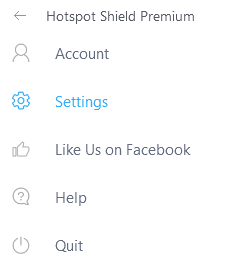 There are different ways to sign up for Hotspot Shield VPN. You can either download the app directly from the website and then make an account. Or you can create an account and then download the client compatible with your system. We’ll show you how to sign up by downloading the software first since it’s easier and faster! Head to hotspotshield.com. 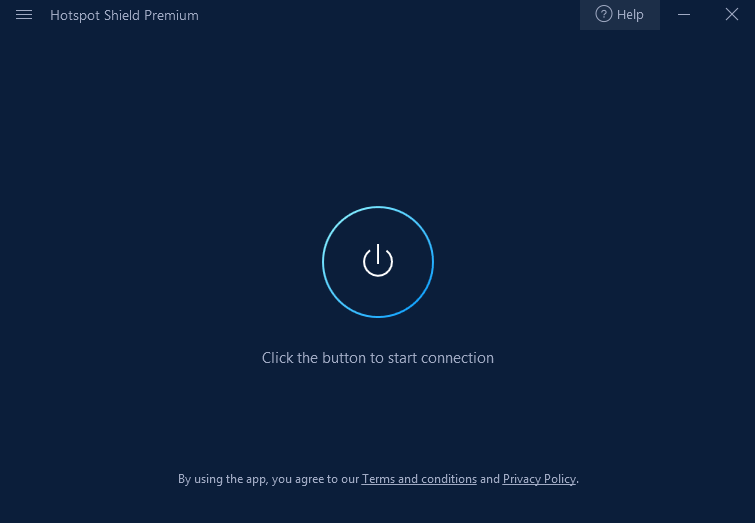 On the fairly slick interface, you’ll see a blue button that reads “Get Hotspot Shield.” Click it. The VPN will automatically begin downloading. Hotspot Shield chooses the client that’s compatible with your device for you. Run and install the app on your device. Then open it. Now you can choose to start the seven-day free trial. Or, if you’ve already created an account, simply sign in. 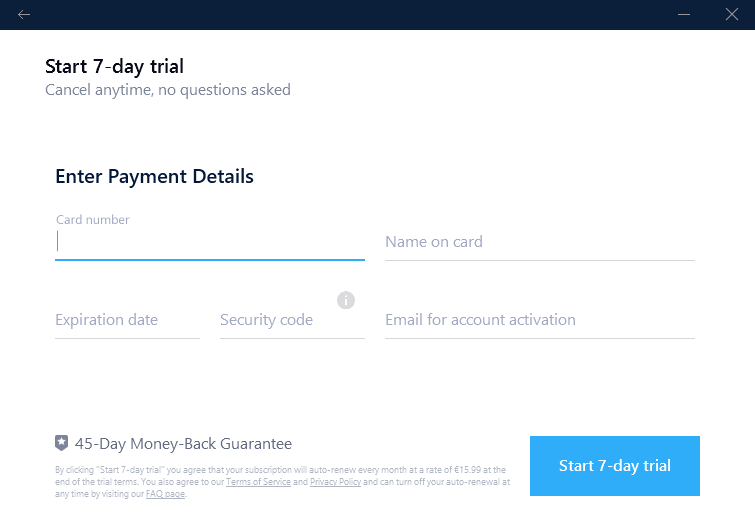 If you wish to try the 7-day trial, you still need to fill in your payment details. You’ll then receive an email confirmation with a link to set up your password. Click the link and create your new password, and you’re good to go. If you want to skip the free trial and sign-up right away then head to the website and purchase your preferred plan. When you connect keep in mind that the default server is set to the United States. But you can always change it to the server you want to connect to. The interface shows you the bandwidth you’ve used, the virtual address you’re using, and how long you’ve been connected to the server. Click on settings. From there you can turn on the kill switch. Within settings, you can also toggle whether or not you want Hotpost Shield VPN to run automatically when you open your device. But that’s it. There are no ways to change your encryption type or the VPN protocol. In fact, this simplicity reflects on the VPN when you want to change the servers. You simply can’t choose any of the servers out of the 2,000+ they advertise. You can only pick the region and they will automatically assign you to a random server. This is nice for casual users who want a simple and pretty looking VPN. 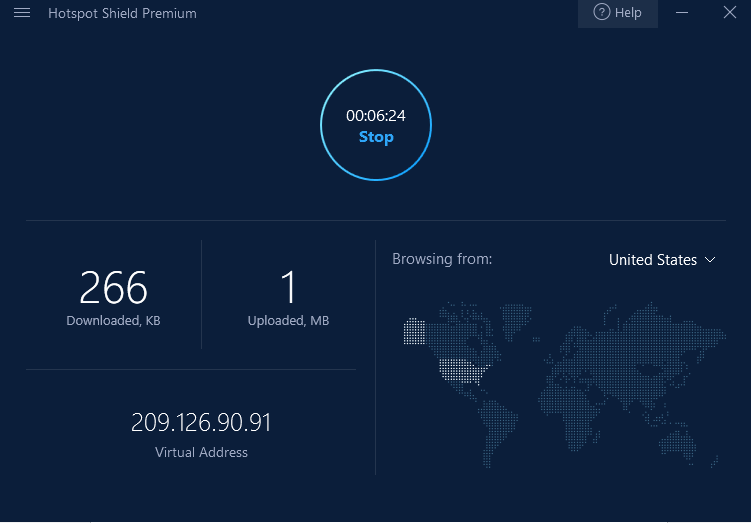 We ran the Hotspot Shield VPN servers through some IP and DNS leak test. We’re quite happy to report that we didn’t have any leaks. It’s worth mentioning that other reviews have reported DNS leaks. We suggest trying it out on your own. Make sure you keep the kill switch enabled. Hotspot Shield encrypts all your traffic using TLS 1.2 together with ECDHE. They also use a strong 128-bit and 256-bit AES encryption. And a Chacha20 Poly1305 that you can configure manually. Hotspot Shield VPN also runs on a protocol named Catapult Hydra. It was developed by AnchorFree themselves and is also used by McAfee, BitDefender, Cheetah Mobile, and other cybersecurity companies. Logging Policy: Is anything private anymore? But, if you read further, they do admit to collecting some personal information. That being any information you share with Hotspot Shield VPN. What information could that be? Well, it’s your username, email address, IP address, and mobile ID. Of course, they assure users that they never share this information. And that the information is only collected to make the experience better. But then they do also collect device-specific information like hardware model, the operating system you’re using, language, and your network information. It’s enough data collection to cause worries to the paranoid. 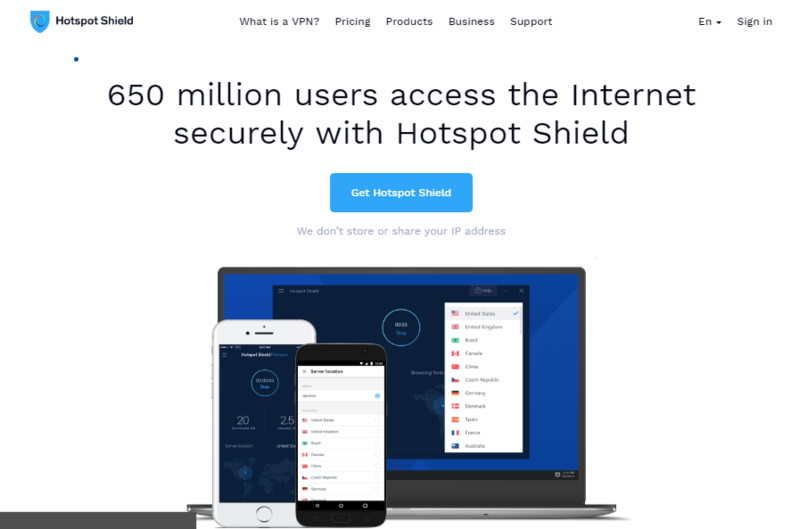 Hotspot Shield VPN was founded in 2005 under the company AnchorFree Inc., and has been around ever since. Its co-founder, and current CEO, is David Gorodyansky. As of now, the company has an estimated total revenue of $26.7M, with approximately 77 employees. AnchorFree recently received an investment of $295M, bringing the total funding to $358M. They also have over 3.9M followers on Facebook and 94.9K followers on Twitter. Impressive. Their company is located in Redwood City, California. That means they’re under the jurisdiction of the Five Eyes Alliance. 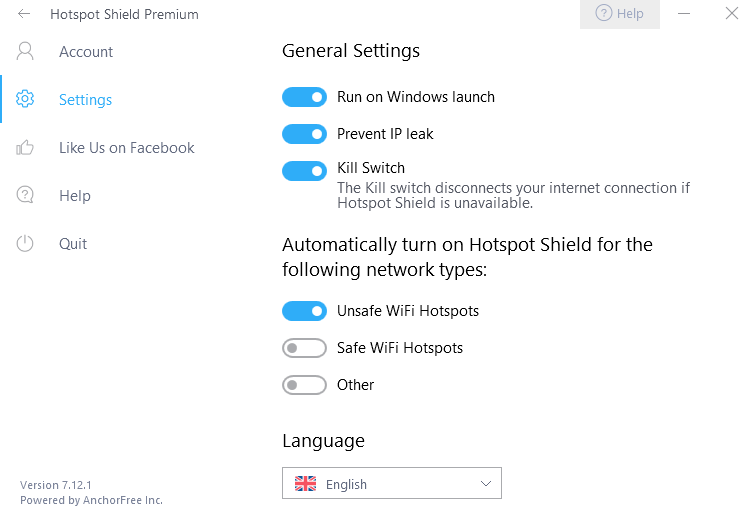 Hotspot Shield VPN features tons of perks that are worth restating. Unlimited streaming and torrenting are perfect for everyone who loves binge-watching and collecting content. And their badass security is available on almost all platforms! Plus, the chat support is great. Which is complemented by a knowledge base that has everything you want to know. We have two main issues. The second is their limited server locations and choosing a server. Considering the price of a subscription we expected more offerings and a more flexible way of choosing a server. And though their speed isn’t exactly terrible there are alternative VPNs that have faster connections. But of course, choosing your VPN is entirely up to you. 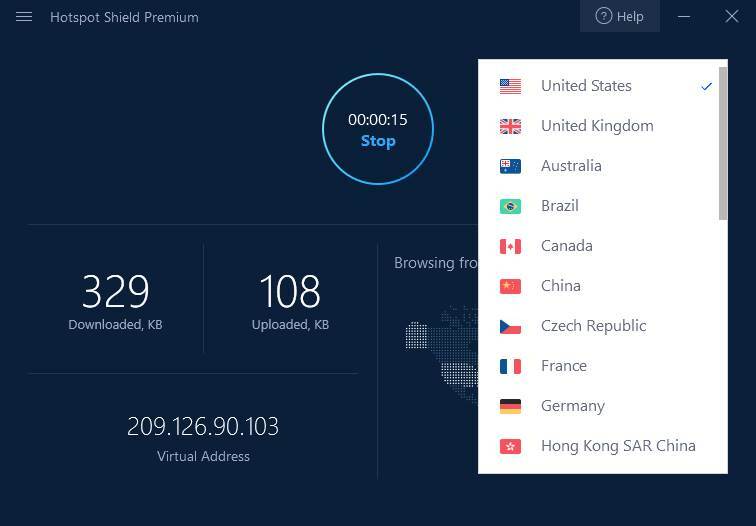 Would we suggest using this Hotspot Shield VPN? Sure! So long as the cons don’t spoil the perks for you. But if you’re not quite content with what Hotspot Shield VPN offers there are tons of other VPNs you can still check out. You can read our NordVPN review and see how the two products compare. Otherwise, here are some VPNs on our top 10 list you can check out for comparison.